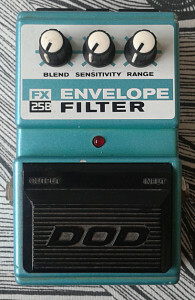 DOD FX25B Envelope Filter in “final” US DOD enclosure. Made is USA in the late 90’s. Grabbed this one off from eBay as the price was correct. 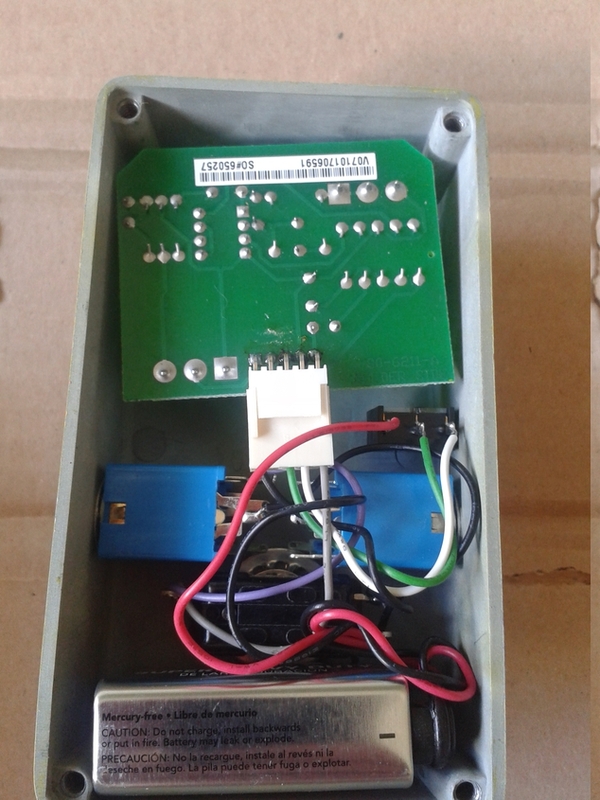 I was totally expecting a V-serial unit for the price and once this thing arrived and i opened the box – no type plate sticker. Damn. 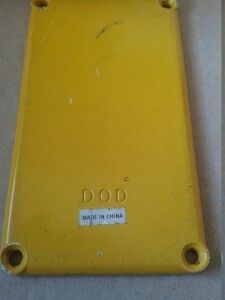 But there wasn’t a “made in china” stamp under the DOD logo on the rubber mat either. I still wasn’t convinced. 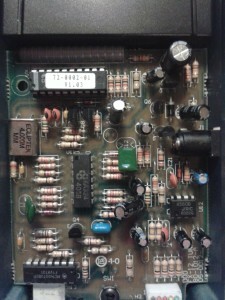 So i headed over to America’s Pedal site and checked the info for the FX25B. What do you know. All the components are exactly as depicted in the AP’s article. Check here to compare. But then again.. From the article, i get the impression that the FX25B was never issued as a chinese VFX unit. And furthermore, there are apparently only three Final Series designs that never went on to VFX, namely FX91, FX84 and FX25B. Funny how you learn something new every day. 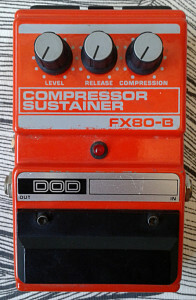 The design is evolved FX25 with added blend control. 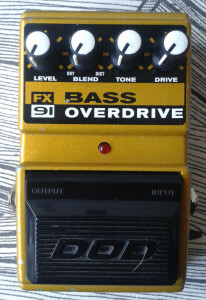 This control was probably added so the effect would work better on bass. 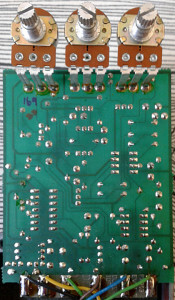 On the board design point of view it is the usual, dull modern DOD design with nothing special in there. 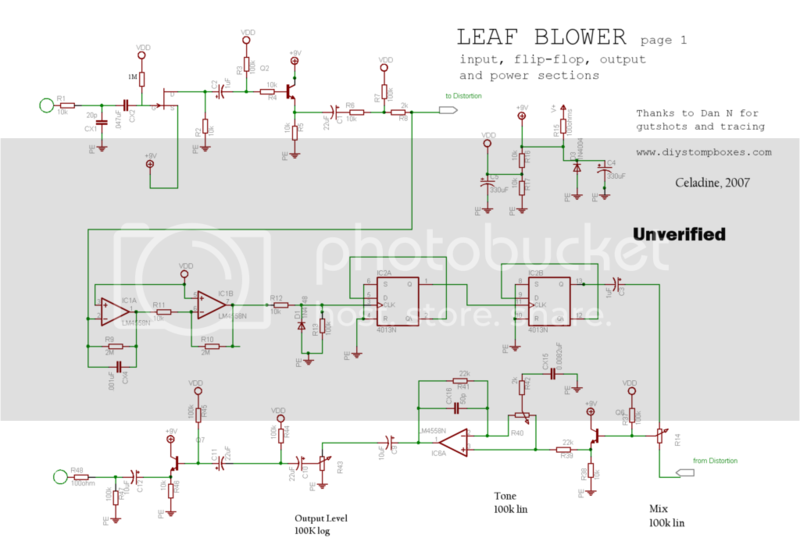 There is a schematic up at FIS. 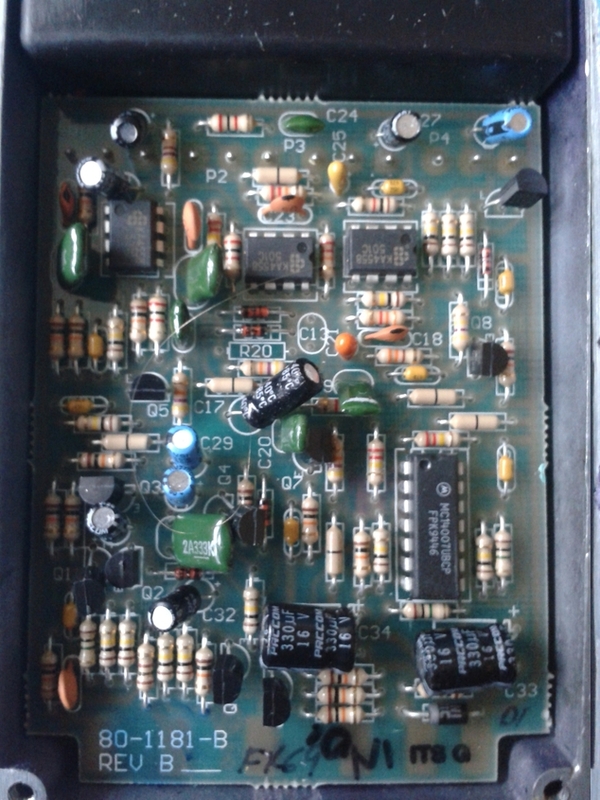 Should be worth noting that the filter is created with LM13600 OTA. Trigger driver is JRC4560. TL072 takes care of the mixing and blend control. 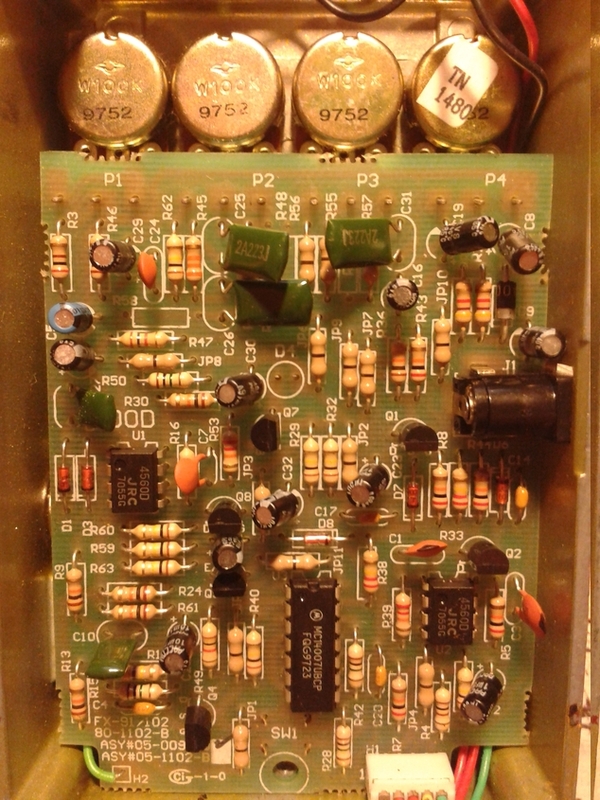 I can’t recall any other OTA-based envelope filter right of the bat. I’m sure there are some though. Well. 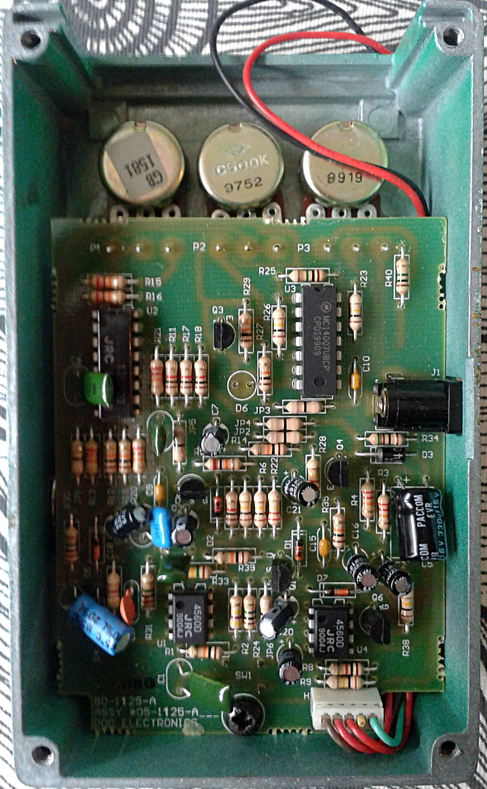 I’d like deconstruct the working idea behind all envelope filters. First of all, we’ll need to split the incoming signal in two. First splitted signal needs to be sent to filter and the other to trigger. Trigger needs to have some sort of threshold so it knows when to trigger the sweep. 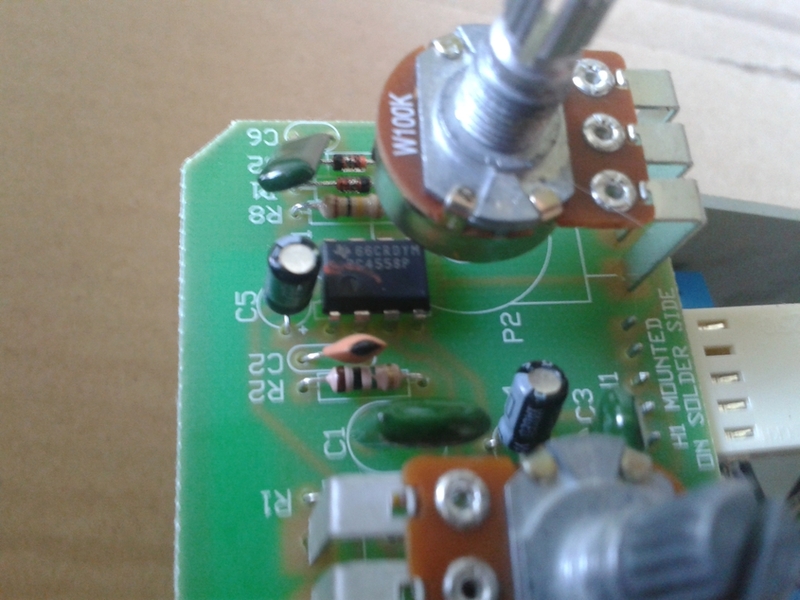 When the incoming signal for the trigger is strong enough, it will pass voltage to LM13600 control pin in a sweeping manner. 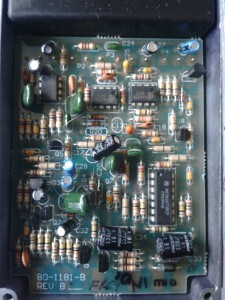 From that signal the OTA knows to modulate the frequencies of the signal passing the filter. 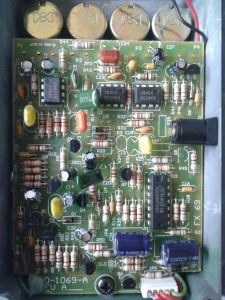 Filters come in many forms, shapes and sizesall of them have components to determine frequency and gain of that frequency. 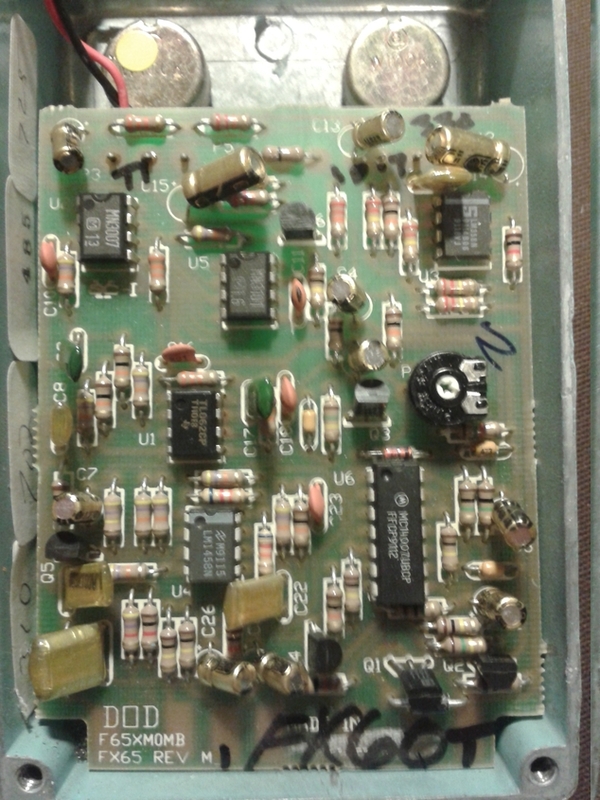 OTA-based filters are usually used due to their capability of offering tight frequency ranges with reasonable amount of components around it. All methods can do the same thing, but different methods result in different tones while the working idea remains. Nice. Not squishy or mushy. Straight up clean filter sweeps all the way. 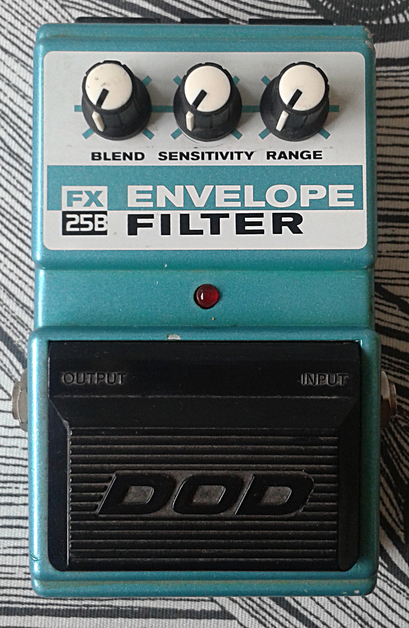 As basic analog envelope filters come, this takes its place in top 5 with ease. 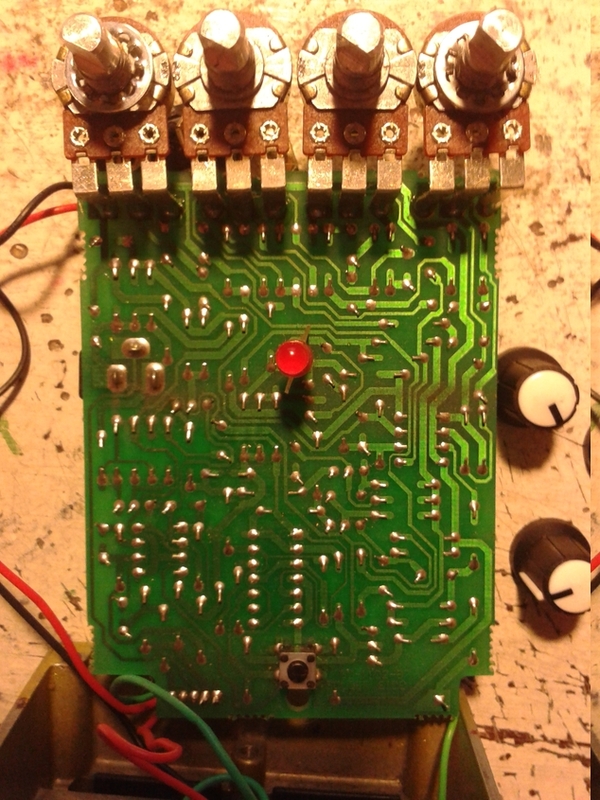 The frequency ranges this circuit can sweep are good for most instruments. 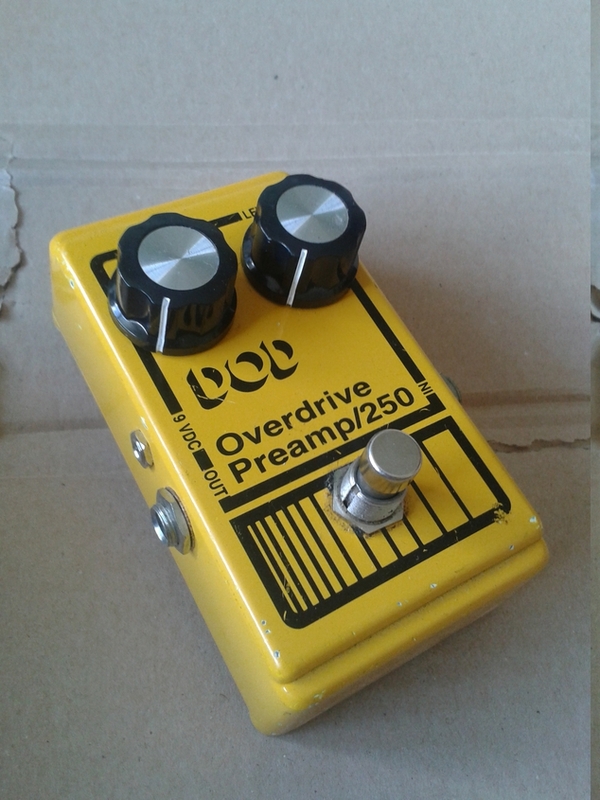 Haven’t tried this with a synth, so i can’t be sure if it will stay unchoked when driven with line level signals, but it is very well working and good sounding envelope filter for guitar and bass. Low noise floor and even lower noise on the sweep make this very attractive effect. 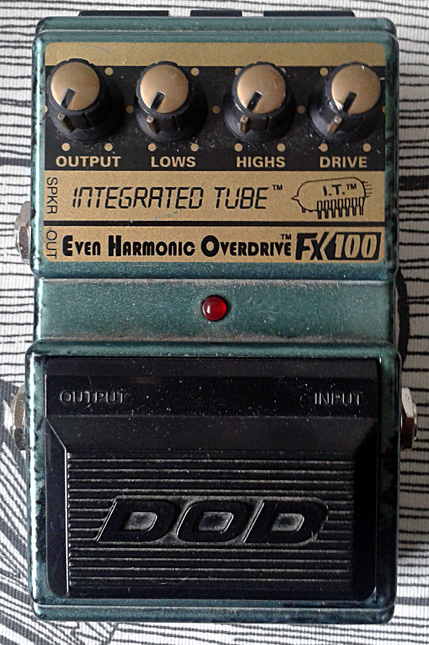 Recommended as top shelf quality sounding effect. DOD FX69 Grunge, made in USA around 1995. 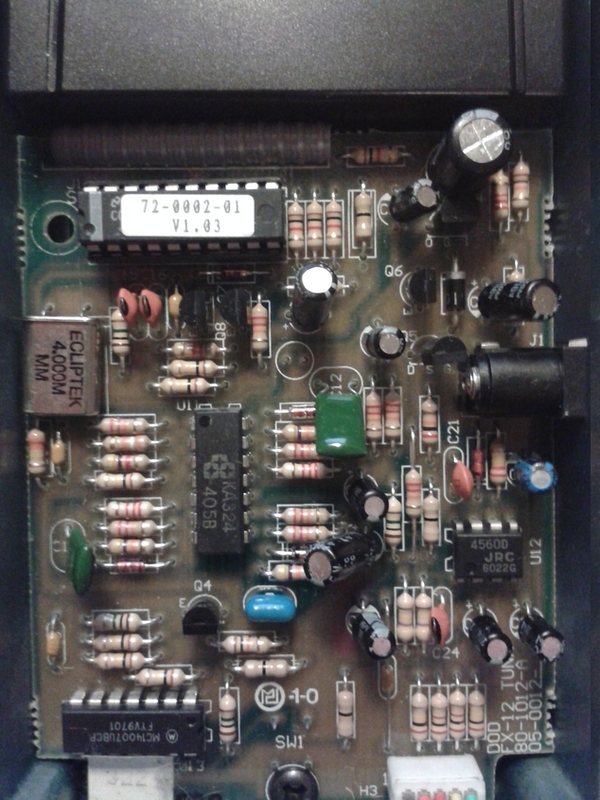 Board revision is “B”, but the box is per 1993 version. 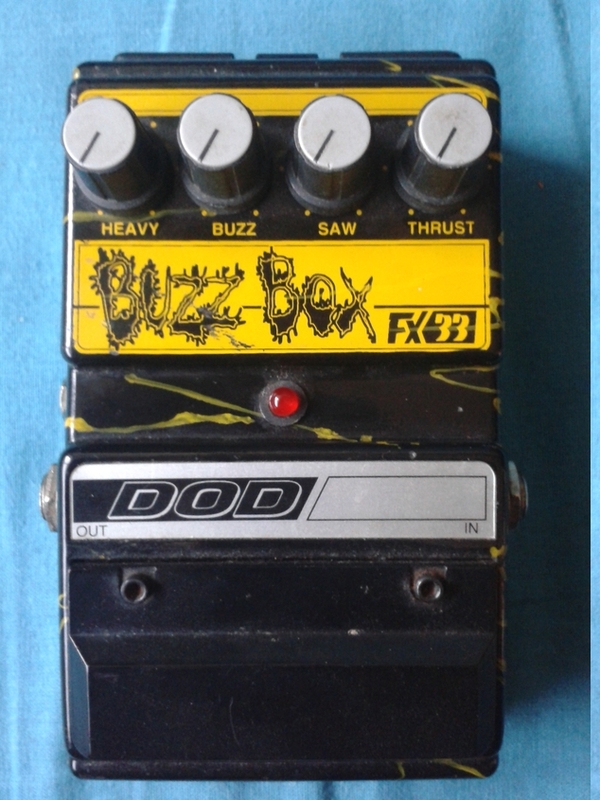 The DOD engineers were probaly after the sound of Kurt Cobain’s Boss DS-1/DS-2 and the Mudhoney fuzzes that were taken over the top. 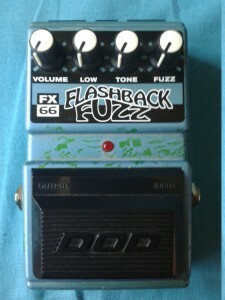 Or then it was just a plan to make a lot of money out of the genre that hadn’t too much to do with the pedal’s sound. 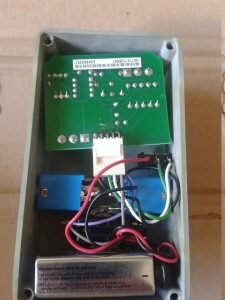 There are conflicts between the sources about mr. Cobains use of this make. 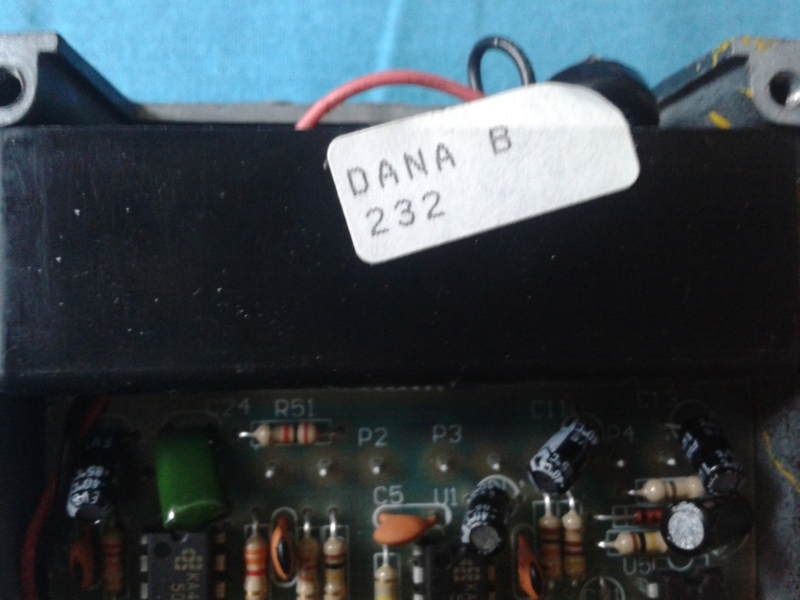 I personally feel that the most accurate version of the truth is told at Kurt’s Equipment website, stating the Nirvana’s guitar tech as a source for the information. So the throwing the pedal at the audience is probably just a myth. May it be what ever. 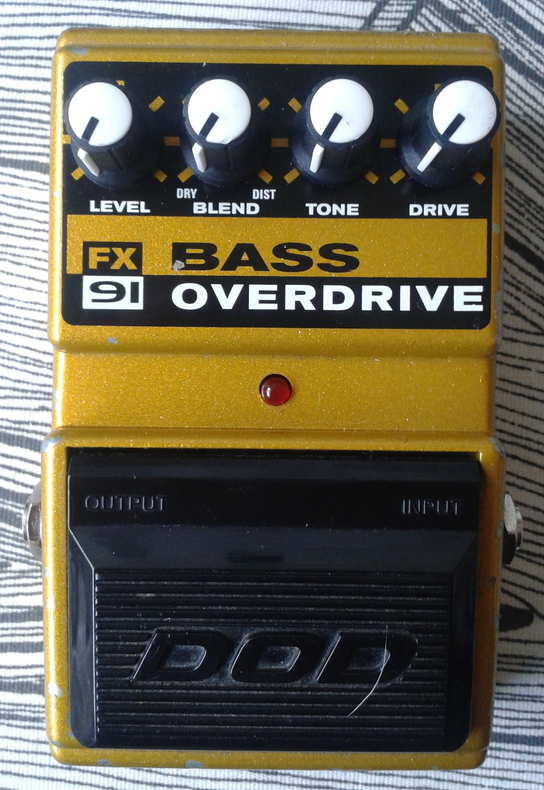 Let’s check the pedal itself out and not focus on who did what 20 years ago. 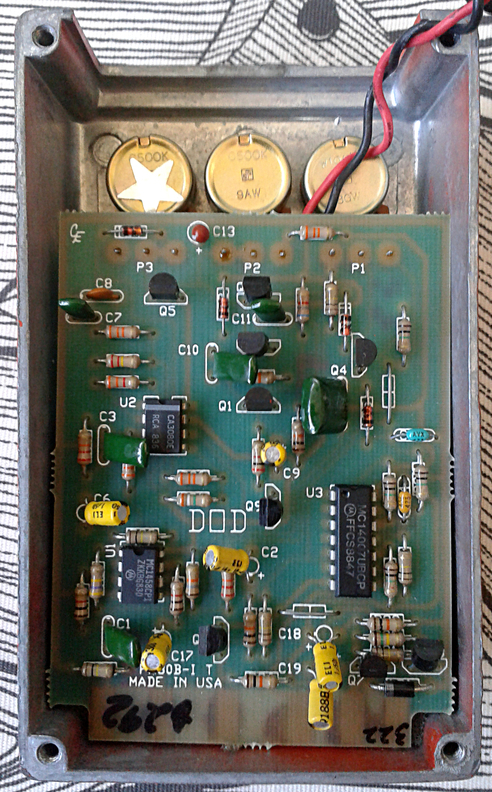 There’s standard DOD electronic swithching and lots of gain stages and filters. 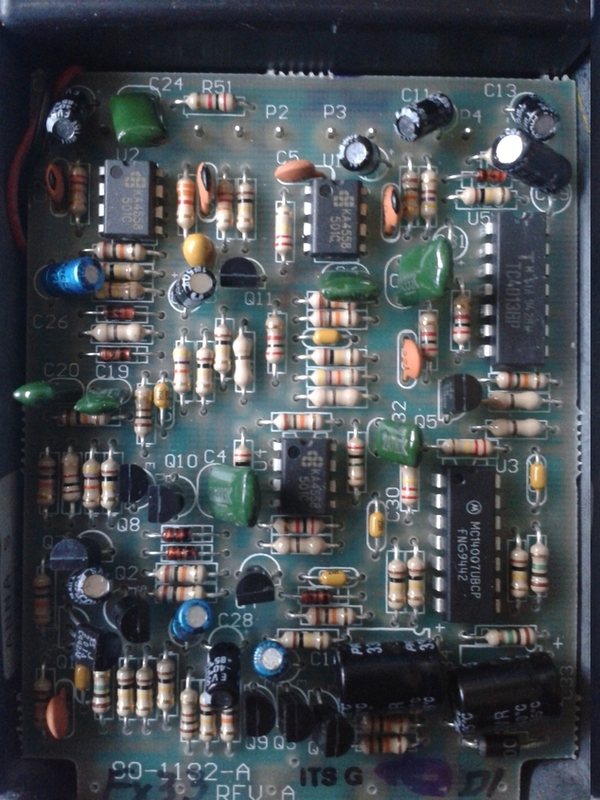 Schematic is available online and it shows the signal path to be buffer -> filtering gain stage -> passive filter -> main gain stage -> hard clipping -> dual gyrator filter stage -> tone control (active lows and passive highs) -> one last driver for tone control -> output buffering. Yeah. Simple. 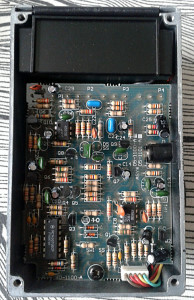 But all that is needed to create horrid amount of gain and keep the audible oscillation and too much excess noise from completely ruining your sound. Weird. At the same time amazingly good and utterly bad. Very few “standard” designs leave you feeling this baffled. 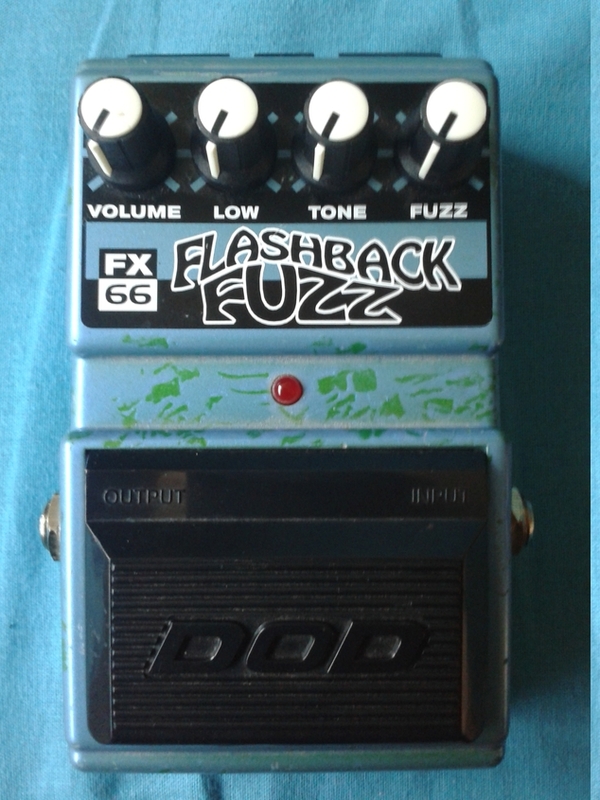 Maybe it’s a good thing to get feelings out of a pedal. At least it does raise an opinion out of almost everyone. You’ll either love it or hate it. There’s no meh-factor on this one. 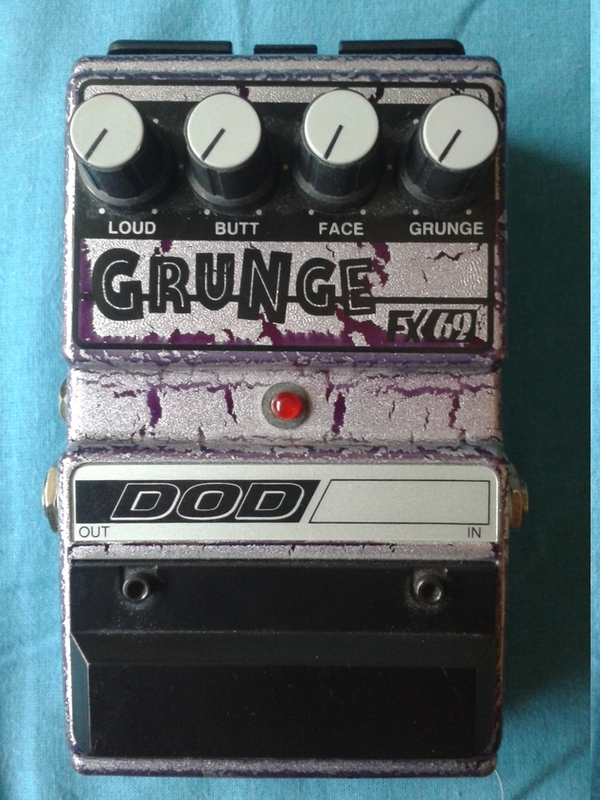 If you are after that buzzsaw sound, then the Grunge may be just the right pedal for you. It’s even underrated and highly praised at the same time. 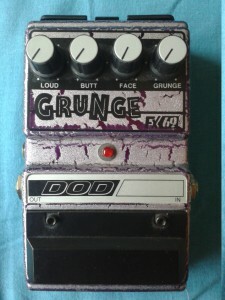 DOD grunge – the paradox of all well selling pedals. 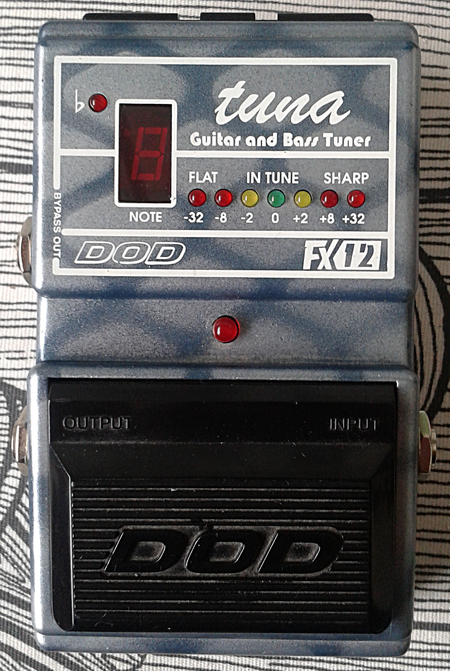 I’m basing the sales argument on the fact that Digitech is still selling the same circuit on its D-series, which makes the design over 20 years old and it has apparently been on the market since the initial release in 1993. 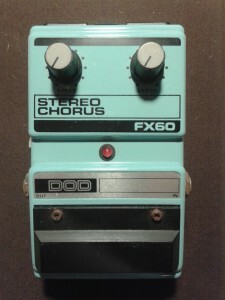 DOD FX60 Stereo Chorus. 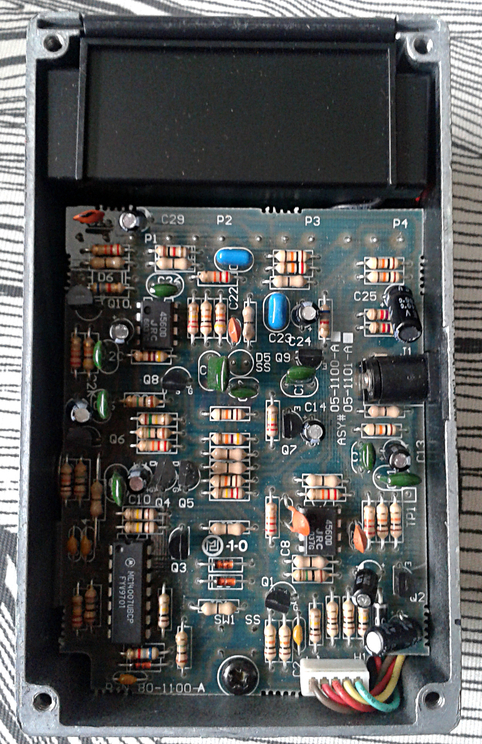 Made in US around 1990-91. For some reason i find this unit simply beautiful. Seafoam/baby blue colour and simplicity of two knobs. 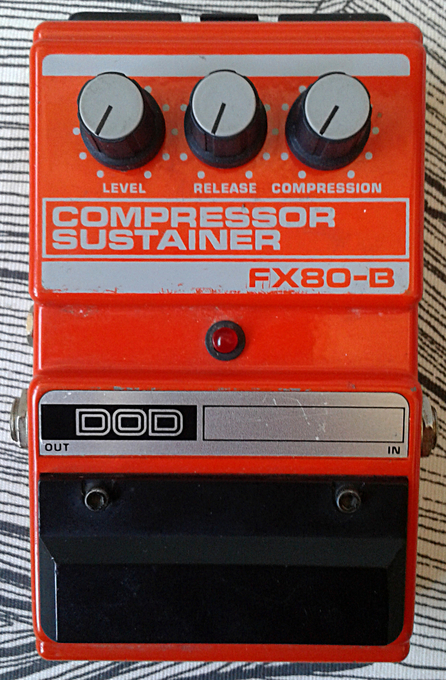 Even the straight DOD logo suits this look very well. For aesthetics, this is one of the finer examples why i happen to like these FX series pedals so much. 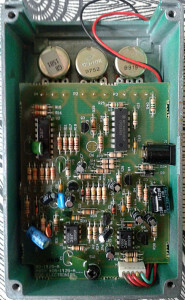 There is an old factory schematic available online which doesn’t quite match this unit’s version. 3101/3007 design. 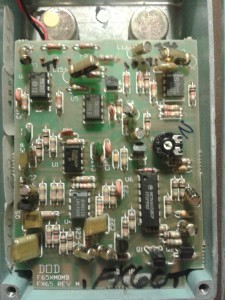 Basis of the design has remained, even though there are reportedly at least five different versions of the board. 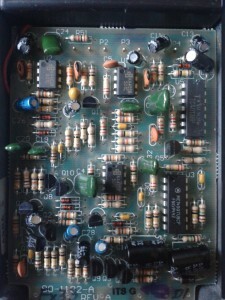 At least the delay section with that particular BBD pair is the same on all of them. 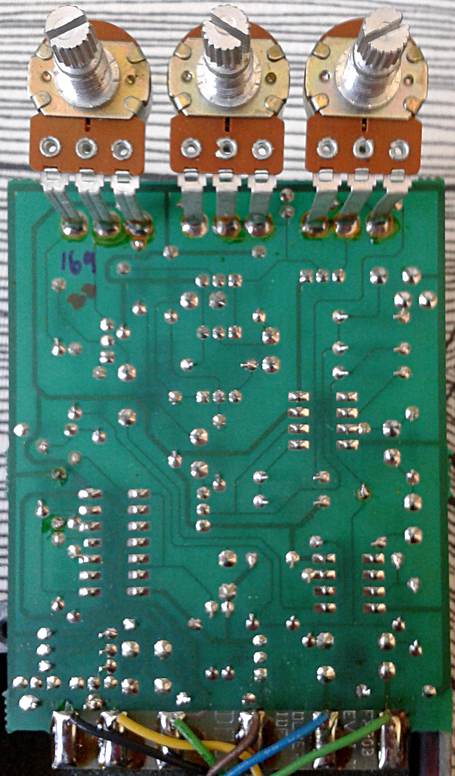 This unit is the second latest board design, sharing the board with FX65. Which i do find intriguing, as the stright logo label would have us to believe that the unit would have earlier board in it. Ah, the mysteries of DODs. 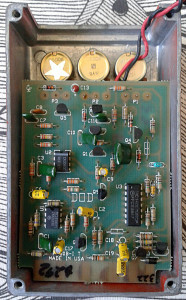 More quirks on the FX60 and all the different board revisions/versions – read about them on the DOD information heaven, the America’s Pedal site. Overall, it has your standard controls of width and speed. Both having nothing but usable parts on the range. Mellow and soft. 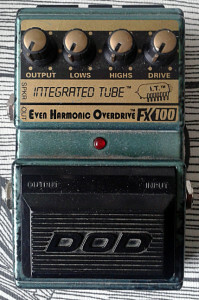 Like a good simple analog chorus should. There are no extreme settings, but just plain and simple warbling mild chorus. Very usable, but with no recognizable personal character. For a cheap DOD pedal, you really can’t or won’t go wrong with this one. 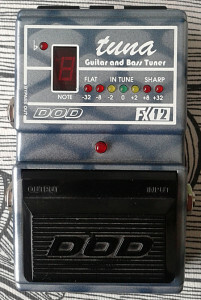 It does sound very good, but doesn’t make it in to the top three for me. Entries (RSS) and Comments (RSS). 55 queries in 0.285 seconds.